Kasi Kaye Iliopoulos - Kasi Kaye Iliopoulos is an award winning author, energy, flower essence, and crystal-healing practitioner. She also is an inspirational speaker and teacher, facilitating seminars, workshops, and meditation sessions to support other souls on their spiritual journey. 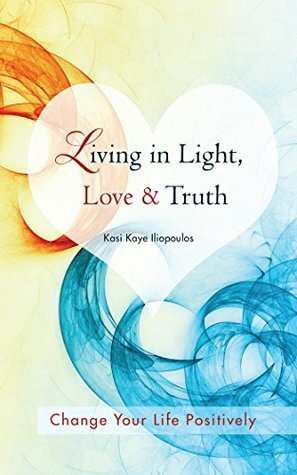 Her first published book, Living in Light, Love & Truth: Change Your Life Positively, was awarded a Living Now 2015 Evergreen Book Bronze Medal for Spiritual Leadership. Her second book, How to Create Positive Energy in Your Space was awarded a Living Now 2017 Silver Medal and a Readers Favorite Honorable Mention.Her interests are holistic health and well-being, to support animal and children welfare causes, and the creative arts; that is creating art. She is an advocate for anti-bullying awareness. She values honesty and is a great admirer of self-accountable souls. She feels at home close to the ocean, as well as in the middle of a rain-forest.She meditates daily, thanks God daily and is grateful daily.She lives in Melbourne, Australia.